Every week or so we place a few of our premium items on sale. 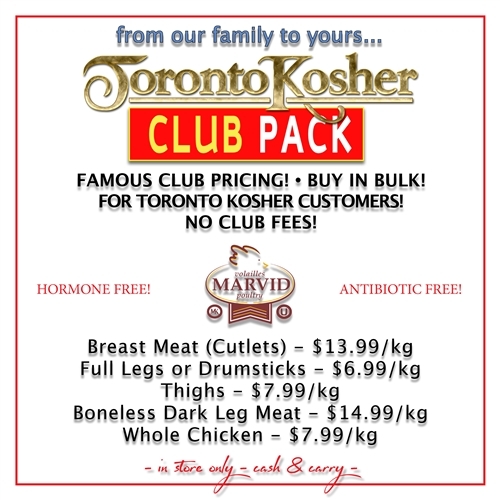 Toronto Kosher's Marvin Chicken Club Packs! 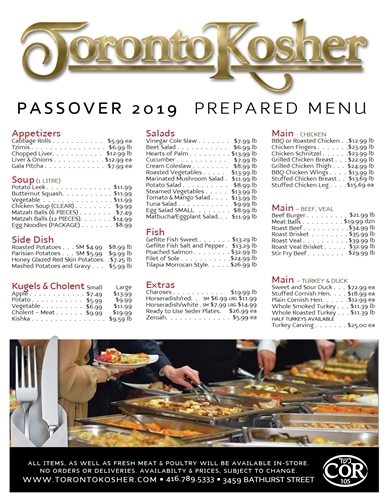 Click to download the menu! Please call to order or ask in store. This really is crazy! 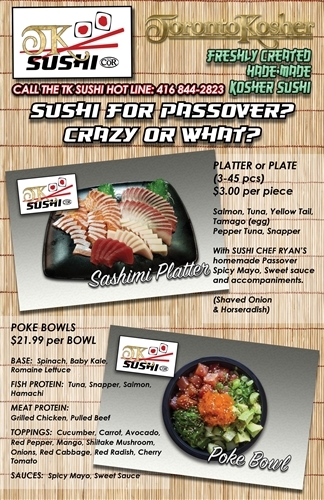 Yet, so deliciously Kosher for Passover! 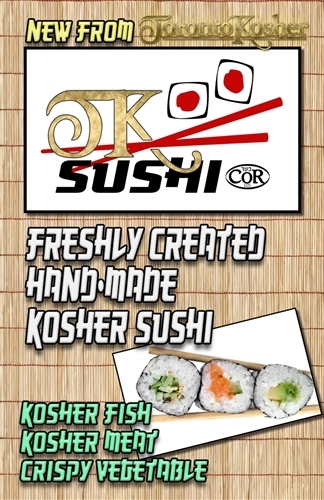 Call the TK Sushi Hotline 416 884-2823, or ask in store.